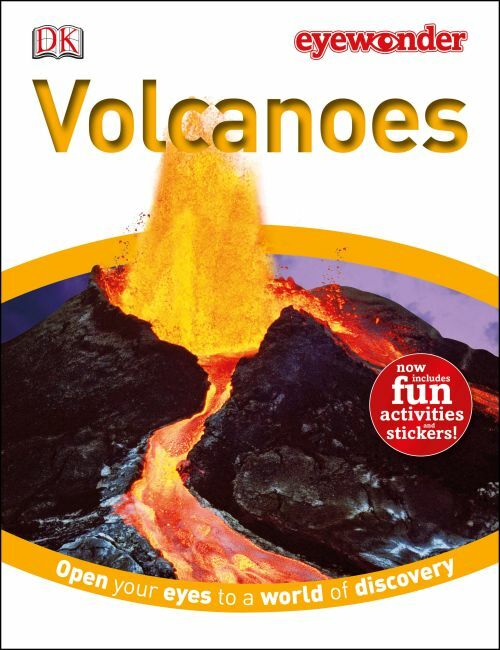 "A light and effortless way to fatten children with facts"
Fully updated with pages of funky volcano stickers and even more games and activities, Eye Wonder Volcano is a fantastic guide to everything about these amazing natural phenomena. From slow flowing lava to what causes an eruption, do you know just how big the rocks that explode from a volcano are? And how far can a volcano explosion reach? Filled with colourful pictures and fun facts, Eye Wonder Volcano is designed to encourage learning. Full of great ideas that will excite and inspire children to find out more about eruptions and how they happen. Supports the National Curriculum at Key Stage 2. The Eye Wonder series covers many subjects, from Ancient Rome and the Arctic to Dinosaurs and Weather. It provides perfect information for school projects and encourages learning for fun.